The advantage to our plastic jars in comparison to conventional glass canning jars. 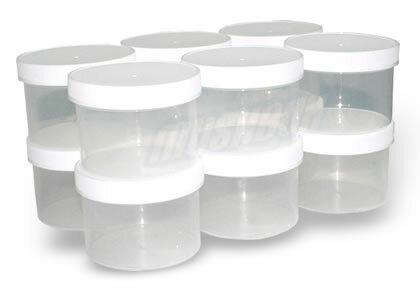 Our plastic jars have the same surface area as a wide mouth glass jar but the plastic jars are taller! This means that you can fit an additional 2-3 more cakes in your terrarium!